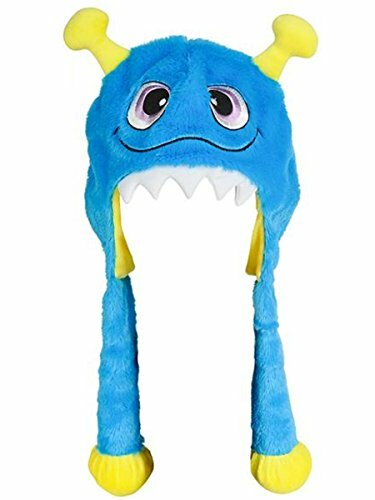 The following post contains Amazon Affiliate Links, meaning that I make a small commission on sales that result from this post, at no additional cost to you! Thank you for reading, and Happy Halloween! Halloween is one of my favorite holidays. I mean, how fun is this day? You get to pick anyone to dress up as! I have always loved to make my own costumes, although it has been several years since I have last made a costume for myself. This year, I was determined to make a Super Bowl Lady Gaga halloween costume. I have three little monsters here at home to help me out with this family ensemble! In the past, I have made a Christina Aguilera halloween costume (circa 2006) and also a Katy Perry halloween costume. Now adays, you can BUY this cupcake number from Amazon. 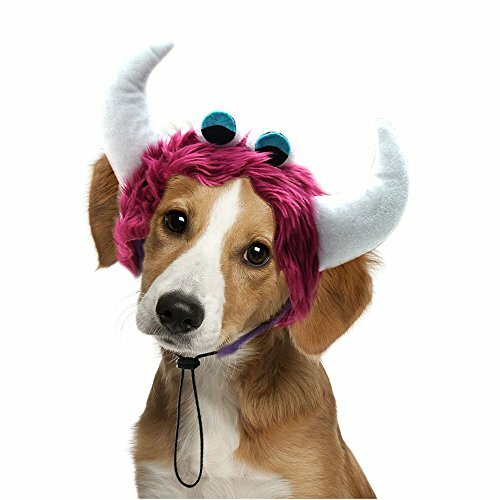 They even sell a version for your dog! 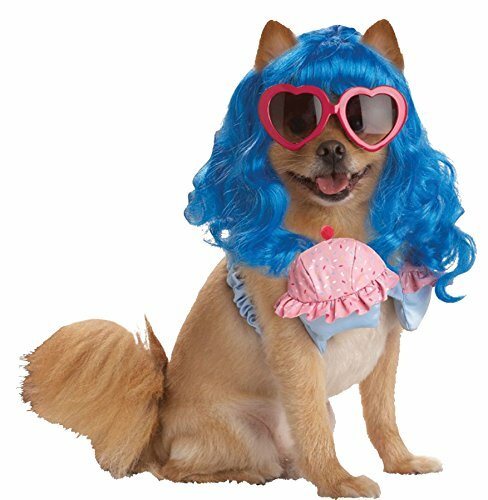 For a while now, I have had the idea to dress as Super Bowl Lady Gaga for Halloween. She is an absolute fave of mine. I am planning to see her at the MGM soon! I decided to try to replicate the costume that she wore during her performance at the 2017 Super Bowl - the one with the white football bedazzled shoulder pads. I had no idea how I was going to construct this look. At first, I thought I could make it out of white paper plates, but after going to the fabric store, I found white pleather that I thought would be a great base. I started to cut this pleather in a way that I thought looked like the Lady Gaga Super Bowl outfit. I was totally winging this - the look was continuously evolving. Once I got the basic shape, I started to glue on the jewels! I used a hot glue gun and just kept gluing, and gluing, and gluing. The costume was slowing morphing into GAGA! I then needed to make additional sleeve caps. I added on extra pleather in order to get the triple jeweled sleeve look. In the end, the top was too big, so I needed to make a major modification to make the top less wide. I basically cut it in half, removed three inches from the center of the football top, and then hot glued the thing back together. This little monster is getting ready for her debut! I also needed glitter shorts and fishnet tights for this costume. I also picked up some pink liquid hair chalk for my hair. I still have a few more days to complete my look, but so far, here is what my costume looks like. Not bad, right?! Now, time to tackle this pink hair! Making my hair pink was easier than I thought it would be. 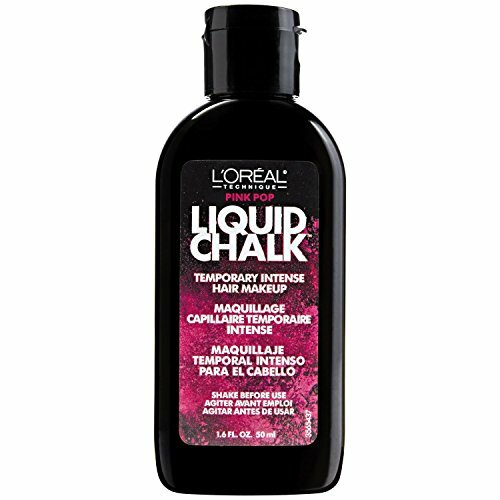 Liquid hair chalk rocks!! First, you spray your hair. Then, you blow dry it. I love this Got2B pink product, and my hair is soft and not sticky after drying. I might make this my every day look!